Virtually all aspects of businesses are moving, at least to some degree, toward a more electronic environment. The acceleration of the Internet of Things, digital devices and other technologies has provided organizations with the ability to operate more efficiently, work more collaboratively and communicate more effectively. Furthermore, automated processes have gained significant traction and widespread adoption because, put simply, they enable companies to save both time and money. However, the rate and manner in which certain sectors are using automation tools and technologies for business functions and processes seems to be varying. PYMTS.com recently reported that Proactis, a spend management company, conducted research that indicated procurement departments of organizations are taking somewhat of a gradual approach to process automation - which is to say that, rather than making the complete transition from manual to automated in one sweep, managers are handling it one step at a time. And while there is an advantage to being careful about implementing any major changes to essential businesses operations, it seems there is a lot of untapped opportunity for companies to evolve from manual to automated. According to the Proactis survey, there are certain areas of procurement that organizations have been slower to automate than others. 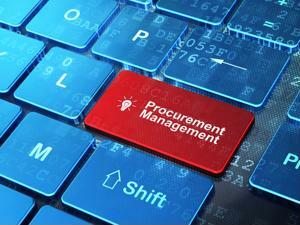 For example, the least automated is supplier information management. Not only did half of the respondents admit to not having any part of this automated, three-fourths of those who do said it is at a very low level. Contract management, strategic sourcing and e-supplier commerce are also among the least automated functions in procurement, with almost 70 percent of survey participants agreeing they have very little, if any, automation in these areas. It is worth noting that, although these are the most automated, they still are not very far along. For example, although almost 50 percent of respondents reported being relatively far along in automating invoice receipt and processing, less than 15 percent said they would consider it complete. Only 25 percent of participants have fully automated purchase-to-pay and just 5 percent of have done the same for either spend analysis or strategic sourcing. Considering which procurement segments other professionals have already begun to automate can help other business leaders get a better idea of where they should start, as well as how modern and adaptive their organizations are in comparison to others. It can also shed some light into which areas competitors may be lacking in and which can, in turn, be leveraged to gain a competitive advantage. When it comes down to transitioning from manual to automated processes, managers must make decisions based on needs that are specific and individual to them. However, it is important to keep in mind that, because one of the most crucial responsibilities of procurement is spend management, the functions that offer the most automation value are those that are highly repetitive. There are many factors that can contribute to why a business may be lagging in its process automation. For example, some likely fear that changing systems or models will cause lead to major disruptions or unnecessary costs. Others might assume the automation tools won't offer a high ROI. Either way, one of the most effective and efficient ways for companies to ensure their procurement processes are as functional, valuable and efficient as possible is to work with a specialized consulting and solutions partner.